. 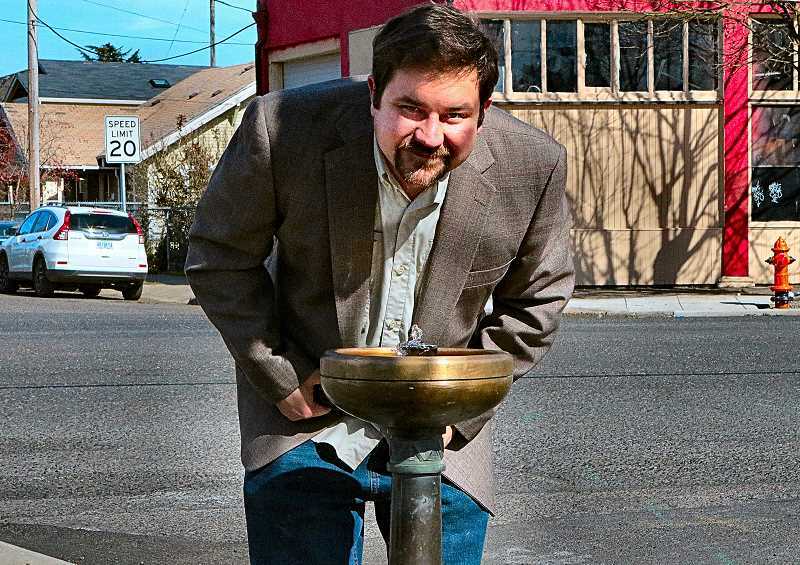 Many of Portland's Neighborhood Business Districts outside the downtown area don't have a bronze "Benson Bubbler" water drinking fountain; the Foster-Powell area did – until thieves made off with one on S.E. Foster Road on December 6. "The stolen bubbler was not returned; and we do not yet have any solid leads on the theft," PWB Public Information Officer Jaymee Cuti told THE BEE the day it was replaced. But they are still looking for it, and the case remains open. "You can imagine how difficult it is to replace something that's so unique, but one of the primary concerns is the cost of installation and repair," Cuti remarked, adding that for security reasons, the Bureau prefers not to release the dollar value of a bubbler. "This one is a refurbished bubbler, one that's been pressed into the correct shape at its base," Cuti explained. "As with all of our bubblers and infrastructure, our hope is that it will live out its natural life, and continue to bring happiness (and hydration) to the community!"